Home / dtac / EN / Facebook / It-Commu / LINE / social media / dtac emphasized “Customer Network Strategy” to invite dtac customers to become Super d Hero in online community. dtac emphasized “Customer Network Strategy” to invite dtac customers to become Super d Hero in online community. July 25, 2017 – dtac emphasized “Customer Network Strategy” to invite customers to become Super d Hero, or contributors in online community to create customer engagement and brand advocacy in future. Recently, dtac has announced campaign “Super d Hero”, an online contributor in the community. Now dtac has various digital services and channels such as dtac application with more than 5 million users and social networking such as LINE and Facebook with more than 37 million followers. 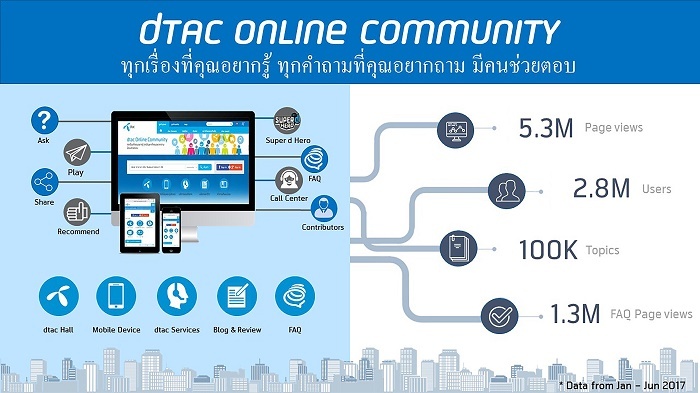 dtac Online Community is an online digital platform, allowing customers to write and share their own experience about dtac products and services with the great support from Super d Hero, an online contributor that facilitate and build positive relationship with the dtac customers. This year we will recruit 24 dtac finalists to compete and to contribute within dtac community. From the statistical data from January to June 2017, there are 10 contributors within community among 2.8 million users, and 100,000 topics that have been discussed over in the online community. This could lead to serve the needs and match with today’s lifestyles in terms of online chatting, asking questions, or even sharing some good contents at anytime and anywhere with the support from Super d Hero team and call center agents to deliver unlimited digital experience to customers. 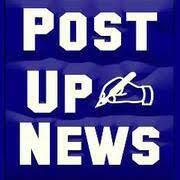 This time we selected Ms. Manida Thiensiripipat as a head of online community. Also, dtac has been emphasized the “Customer Network Strategy” to drive the campaign “Super d Hero” to enhance and expand dtac brand lovers base in online community. This is the first year that we launched in order to create more contributors and brand advocates and to create positive and vibrant community in the future. All the heroes need to contribute and collect points in order to enjoy the privileges in the future from rankings to rankings. For those who did not apply the Super d Hero, they could also enjoy the privileges by participating and giving some comments in the dtac online community in each month.